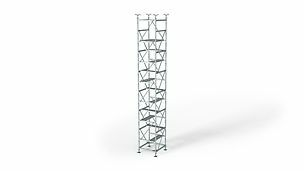 PERI UP Flex is the universal modular scaffolding for a wide range of tasks. 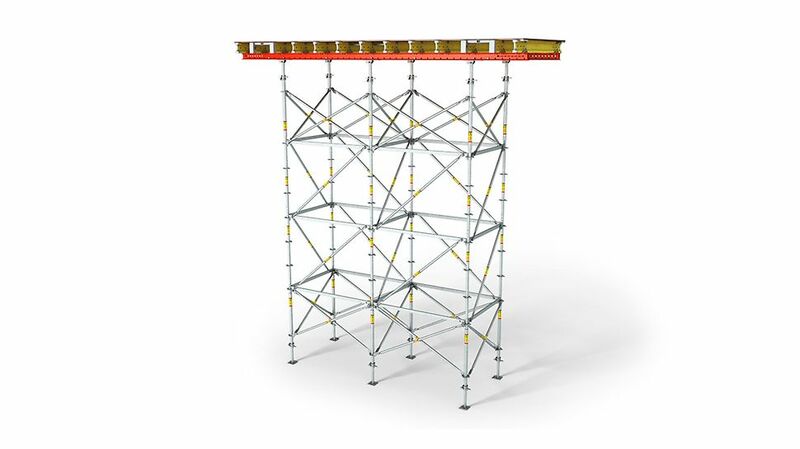 It makes shoring assemblies with lightweight scaffold materials extremely cost-effective. 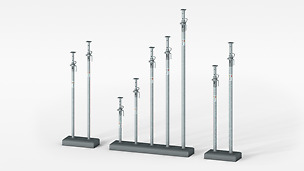 The system grid dimensions of 25 cm and 50 cm allows optimum adaptation to different geometries and loads. 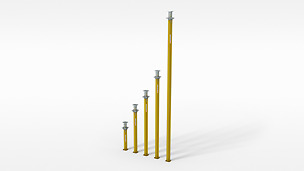 PERI UP shoring towers have been type-tested for heights of up to 21.89 m; up to two additional frames can be attached. 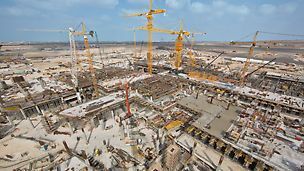 Assembly of the framework unit is based on shoring towers which are connected in one direction and thus function as shear frames. 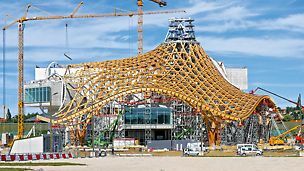 In direction of the framework, the system can be considered as a free standing system, thus additional braces for the transfer of horizontal loads are usually not necessary. 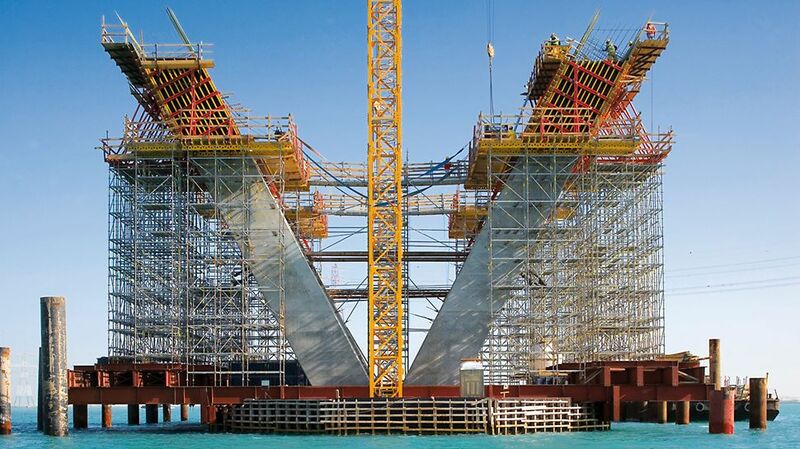 A typical application is the building of bridges. 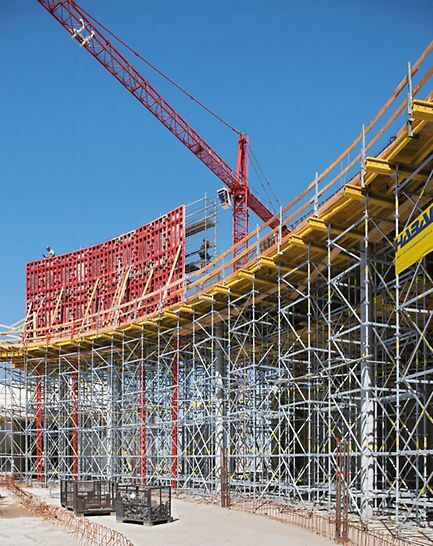 PERI UP Flex allows its complete variability to be showcased when creating three-dimensional shoring structures. 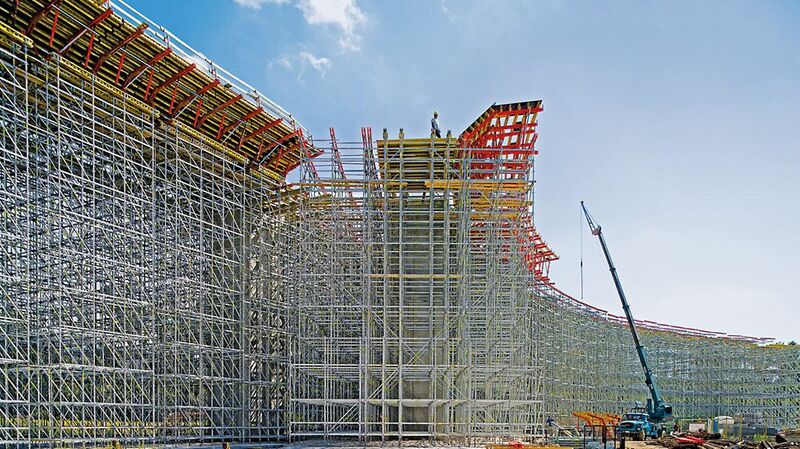 Here, the positions of the legs can be adapted exactly to match the on-site load requirements. Very high load concentrations can be transferred just as easily as small area loads. Adjustments to very complicated geometrical shapes are realisable with standard materials with very little time and effort. 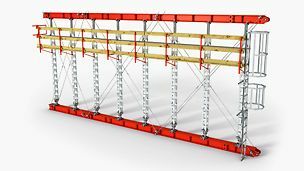 The high rigidity of the ledger connections maintains the shape of even very large scaffolding units when being moved with the crane or by means of castors. Tension-proof connections are used to connect the standards to each other. 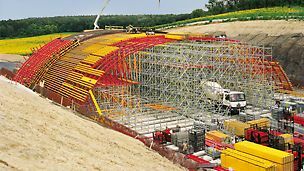 Units can be pre-assembled on the ground and subsequently joined together to form large shoring scaffolds. 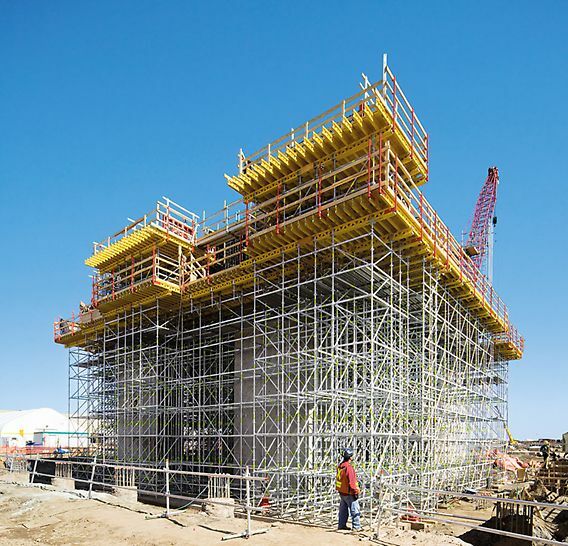 Working platforms for formwork operations as well as access solutions can be integrated in the shoring through the installation of system decks and stairs. 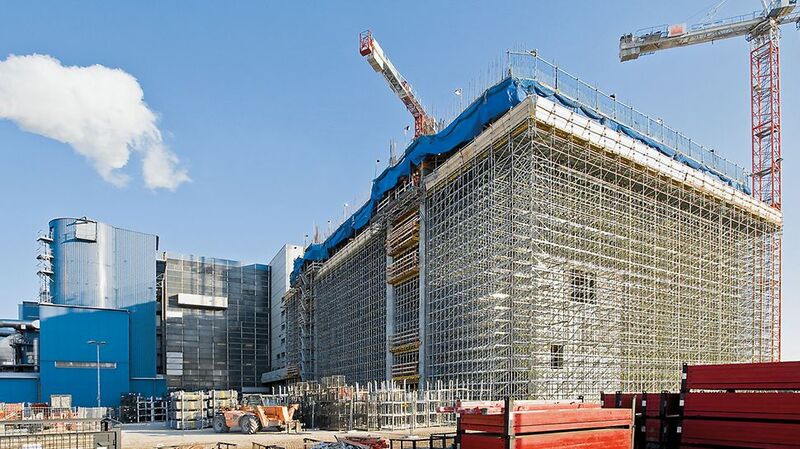 Todos los componentes de la torre de carga se montan y desmontan sistemáticamente desde una posición protegida por una barandilla ya colocada desde el nivel inferior. Las plataformas son parte integral y elemento central de la torre de carga PERI UP Flex MDS. Aceleran el manejo y al mismo tiempo aportan gran seguridad, sin pasos de trabajo adicionales, ni etapas intermedias de montaje que deban asegurarse con elementos adicionales.